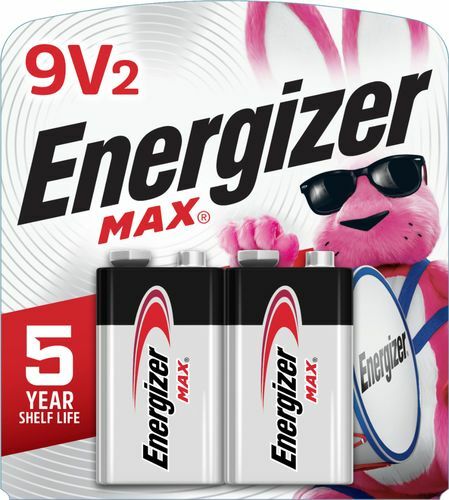 ENERGIZER - - MAX Batteries 9V (2-Pack) Long-lasting dependable power for your everyday devices. 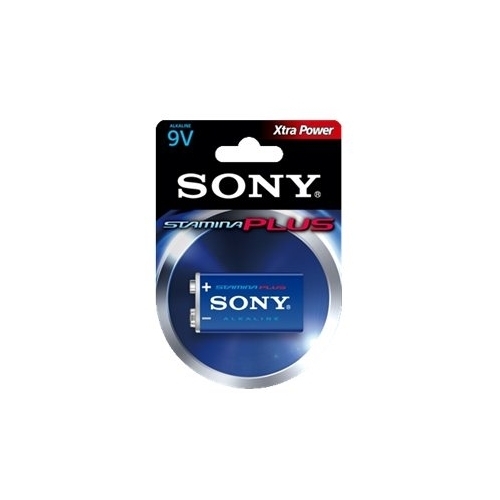 Ideal for toys and games remotes and flashlights. Keeps your everyday devices going and going. 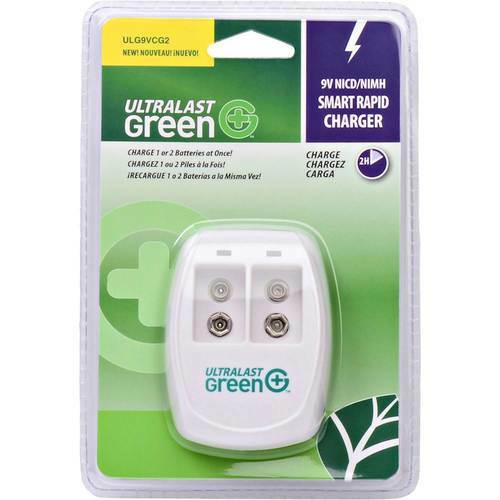 Denaq - - Smart Rapid Charger - White Keep 9V batteries ready for action with this UltraLast two-channel charger. 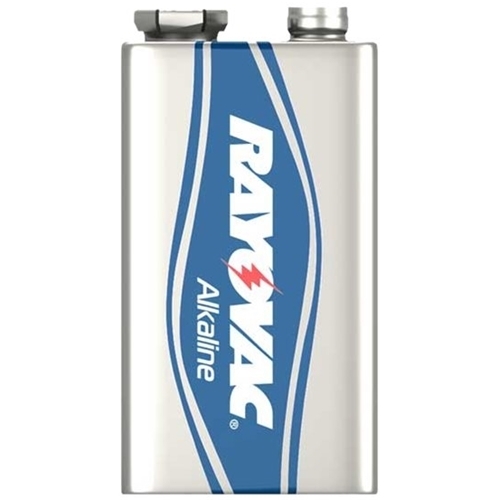 Both nickel cadmium and nickel metal hydride batteries can be recharged in this device. ENERGIZER - Energizer Nickel Metal Hydride Battery - 150 mAh - 9V - Nickel Metal Hydride (NiMH) - 9 V DC - 1 Each NH22NBP EVENH22NBP pg.325. DURACELL - MN1604B2Z Duracell MN1604B2Z Alkaline General Purpose Battery - 9V - Alkaline - 9 V DC - 2 Pack DURMN1604B2Z pg.322. 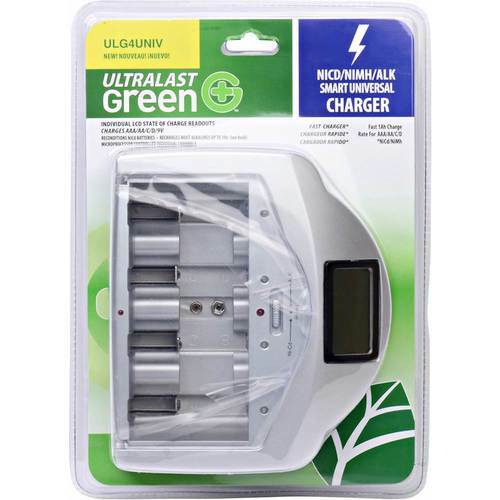 ULTRALAST - - 9V Batteries (12-Pack) Keep toys and gadgets running smoothly with these UltraLast 9V batteries. 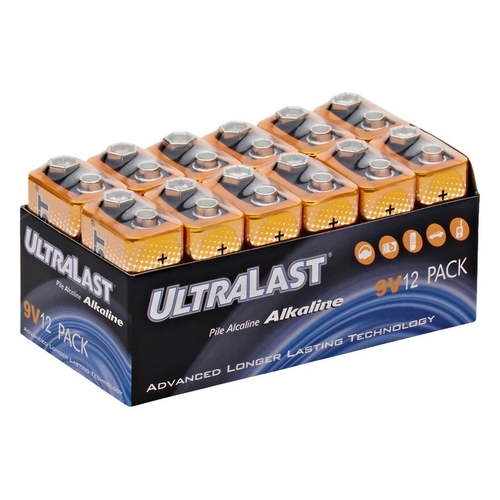 This pack includes 12 alkaline cells so you can stock the supply room or gadget drawer. DURACELL - Duracell Multipurpose Battery - AA - Alkaline - 9 V DC - 12 Pack QU1500B12Z DURQU1500B12Z pg.322. ENERGIZER - 522FP-4 Energizer Alkaline Battery Pack - 595 mAh - 9V - Alkaline - 9 V DC - 4 Pack 522FP4 EVE522FP4 pg.324. DURACELL - Duracell CopperTop Alkaline 9-Volt Battery - 9V - Alkaline - 9 V DC - 4 Pack MN16RT4Z DURMN16RT4Z pg.322. DURACELL - Duracell PROCELL Alkaline 9-Volt Battery - 550 mAh - 9V - Alkaline - 9 V DC - 12 Box PC1604BKD* DURPC1604BKD pg.322. DURACELL - Duracell Multipurpose Battery - AA - 9 V DC - 16 Pack QU1500B16Z DURQU1500B16Z pg.322. DURACELL - Duracell CopperTop General Purpose Battery - 9V - Alkaline Manganese Dioxide - 9 V DC - 12 Pack MN1604BKD* DURMN1604BKD pg.322.
. - R9VL-8 Rayovac R9VL-8 9 Volt Lithium Battery - 9V - Lithium (Li) - 9 V DC - 8 Pack 85065000 RAYR9VL8 pg.326.